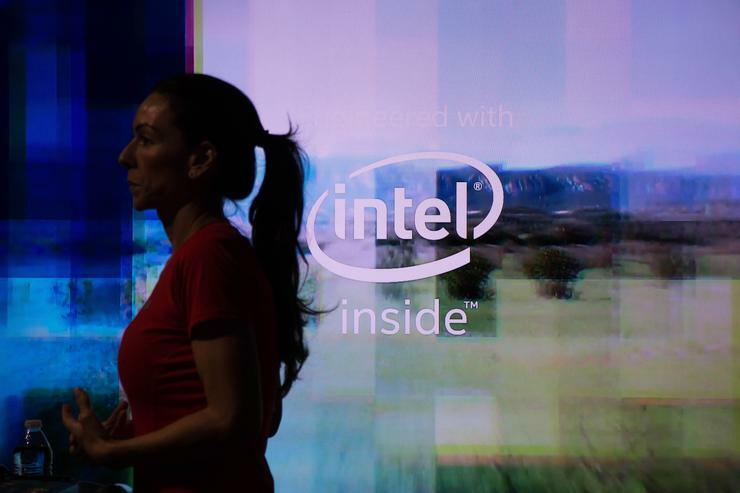 Prices of Intel's chips in both desktops and laptops went up in the first quarter. That helped drive up the quarterly revenue for Client Computing Group -- which deals in PC chips -- to $8 billion, which was up 6 percent compared to the same quarter last year. But Intel's PC chips now face serious competition from AMD's new Ryzen chip, which was released last month. Ryzen chips offer competitive performance, and are priced significantly lower. AMD's fastest Ryzen 7 1800X chip -- targeted at gamers -- has eight cores and is priced at $499. A comparable chip like Intel's Core i7-6900K is priced at $1,089. Intel's fastest gaming chip is the Core i7-6950X Extreme Edition chip, which is priced at $1,723. For more than a decade, AMD's cheaper processors were considered inferior to Intel's chips on performance. PC makers dropped AMD from their product lineup, but are now partnering with the chip maker on Ryzen, said Jim McGregor, principal analyst at Tirias Research. "AMD is offering a competitive part, and their price is significantly lower than Intel's," McGregor said. "There's always the upper echelon that will pay anything for a PC," McGregor said. "This is more about bringing gaming systems to lower prices." It's still early to predict the full impact of Ryzen on the pricing of Intel's chips. But it's already showing up in a couple of places, like in retail stores, where prices of Intel's boxed processors were adjusted after Ryzen's arrival, said Dean McCarron, principal analyst at Mercury Research. "Competition is always good, and Intel is certainly feeling the pressure from AMD," McCarron said. Ryzen isn't the only reason behind Intel's projection of a decline in chip prices. The mix of Intel's chips from low-end to premium chips has slowed down. The price needs to be adjusted so more PC users move from low-end chips like Pentium to Core i5 and i7.